WASHINGTON— The Center for Biological Diversity filed a notice today of its intent to sue the National Marine Fisheries Service to compel the designation of critical habitat in Alaska for two ice seal species. Both bearded and ringed seals are listed as threatened under the Endangered Species Act because their Arctic sea-ice habitat is melting. Separate oil-industry challenges to protection for bearded seals and ringed seals were rejected by the federal courts last year. But the Trump administration hasn’t taken the legally required steps to protect their habitat. The Center first petitioned to protect both species in 2008, and the Obama administration listed the seals in 2012. Ice seals are vulnerable to oil spills and the impacts of climate change. The Trump administration is currently pushing to expand offshore oil drilling in the Arctic and onshore fossil fuel production in the Western Arctic and the Alaska National Wildlife Refuge. Bearded seals, known for their mustachioed appearance and elaborate courtship songs, give birth and nurse their pups on pack ice. The rapid loss of that ice jeopardizes their ability to rear their young and is lowering the abundance of the seals’ food on their shallow foraging grounds in the Bering Sea. Ringed seals, which are covered in dark spots surrounded by light grey rings, give birth in snow caves built on top of the sea ice. Global warming is reducing the amount of snowpack, causing caves to collapse and leaving pups vulnerable to death by freezing or from predators. Plants and animals with federally protected critical habitat are more than twice as likely to be moving toward recovery than species without it, a Center study found. Designating critical habitat for the seals does not affect subsistence harvest of the species by Alaska natives. 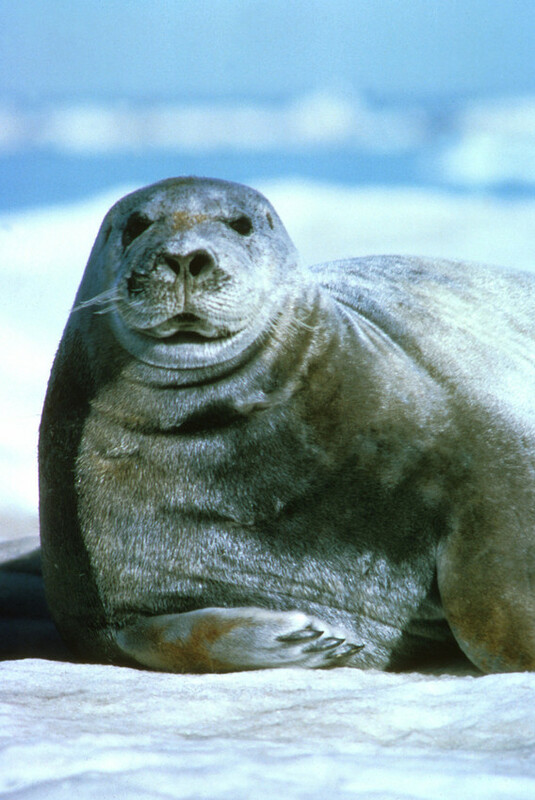 Bearded seal courtesy USFWS. Images are available for media use.